sos arsenic: Sign the petition to stop genocide through gold mining and arsenic release in Paracatu. This blog is published and maintained by Public Prosecutor P. M.Serrano Neves (pmsneves@gmail.com, Brazil) with the assistance of Acangau Foundation’s personnel and volunteers and contributors from all over the world. We strongly encourage participation and public debate. Sign the petition to stop genocide through gold mining and arsenic release in Paracatu. 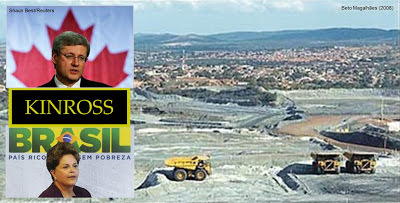 Anthropogenic arsenic is piling up worldwide because of disastrous projects such as Canadian Kinross Gold Corporation's gold mining in Paracatu, Brazil. Kinross obtains financial and political support from the Canadian government. Kinross obtains permits for its activities of genocidal stature by corruption, facilitation payments, black mailing and even murder. The people of Paracatu and a number of institutions like Acangau Foundation in Brazil and the Halifax Initiative in Canada are desperately seeking sanction for Kinnross’ genocidal activities. We urge the Canadian Government to stop financing Kinross, start indemnizing the Paracatu people. We urge the governments of Brazil and Canada to impose a complete ban on gold mining in arsenic-bearing deposits. To obtain tens of tonnes of gold, Canadian Kinross Gold Corporation has released more than 300 hundred thousand tonnes of inorganic arsenic from the rocks of its open cut gold mine in Paracatu, a 90 thousand inhabitant town in Brazil. In the next 30 years, Kinross will release 1 million tonnes of this dreadful environmental toxicant into the biosphere. One gram of inorganic arsenic is enough to instantly kill seven adult people or cause chronic disease like cancer, diabetes, cardiovascular diseases and Alzheimer's disease if the exposure occurs over years or decades. Accordingly, the incidences of cancer, abortion and other diseases have increased significantly in Paracatu since Kinross initiated its gold mining activities in town. There is no such thing as a safe dose for a cancer causing substance like arsenic. The arsenic released by Kinross into the air, soil and water in Paracatu is bioaccessible to millions of living beings including people in Brazil and worldwide. The incredible amounts of arsenic from Paracatu will persist in the environment for hundreds to thousands of years causing persistent, chronic killings, human suffering and poverty. SOS Arsenic has been created in recognition of the urgent need to efficiently and democratically tackle the threatening issue of insidious contamination of our bodies and souls with anthropogenic arsenic both at local and global scales. Arsenic uptake and metabolism in plants. Role of arsenic and its resistance in nature. * SOS Arsenic has been created in recognition of the urgent need toefficiently and democratically tackle the threatening issue of insidious contamination of our bodies and souls with anthropogenic arsenic both at local and global scales. 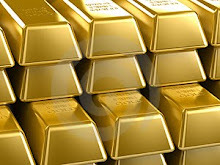 * It has been recognized that some media are financed by a fistful ofpeople, corporations and governments whose very existence, success and enrichment rely on arsenic-releasing activities such as gold mining. * This relationship of dependence has jeopardized the capacity of these media to adequately approach the arsenic contamination issue worldwide. * It has been recognized that the existence, richness and success of those few are built and maintained at the expenses of the existence, health and survival of the vast majority of people who suffer the burdens of arsenic contamination. * Democratic Right assists contributors to this blog in their task of contributing good quality scientific, artistic and journalistic information about arsenic contamination worldwide. * This is a legitimate journalistic endeavor of Orwellian stature: “Journalism is printing what someone else does not wanted printed; everything else is public relations” (George Orwell). * This blog is published and maintained by Public Prosecutor P. M.Serrano Neves (pmsneves@gmail.com, Brazil) with the assistance of Acangau Foundation’s personnel and volunteers and contributors from all over the world. We strongly encourage participation and public debate.